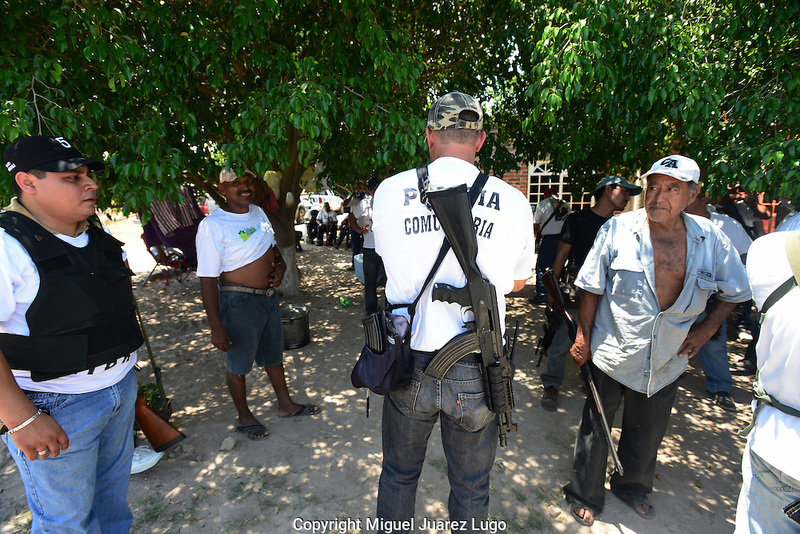 Self-defense forces in the town of El Aguaje in Michoacan. Locals in at least a dozen towns have joined forces to fight the brutal Knights Templar drug gang. At first armed only with shotguns and even slingshots, the groups now have AK-47s, bullet proof vests and armored trucks they said they have seized from the fleeing cartel.